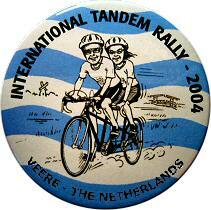 The Tandem Club organizes an International Tandem Rally each year, which is in another country from its home in Great Britain. Countries visited in the past are Belgium, Germany, France, Ireland and the Netherlands. The format of the rallies is very similar, a week were everyone camps (now also bungalows), cycle, socialize and generally have a good time. There are usually 5 rides with a rest day in the middle, the rides are split in family/short rides: 40 - 50 km, medium rides: 60 - 80km and long rides: 100+km. Everyone sets off when they like and cycle at their own speed, meeting up with people on the way at coffee stops and lunch breaks. In the evenings a variety of small events may be organised starting with the welcome drink, tandem games, a local folklore evening and the traditional meat burning ritual: the end of rally BBQ. Quite often there is some sort of children's club. Sand, sea, wind, bridges, dikes, coffee, apple tart, ferries, folk dancing, babbelaars, herrings, sun, rain, more rain, ice cream, pancakes - that just about sums up my experience of our International Rally at Veere. Being only my third rally it was a steep learning curve for me putting together this event. As always there were a few hitches mostly to do with the allocation of space on the campsite. During the planning stage of the event I tried to learn from previous organisers and the comments of the participants in allocating pitches to large and small campers, making some assumptions that didnt quite materialize. In the end we ended up with too few tents in the small tent area and not enough space for the larger tents/caravans; something that will be addressed in future events. The fact that it was Bank Holiday Weekend meant that there was no overspill capacity to the rest of the site. The whole of Zeeland was full for the 3 days. I do apologise to those that were perhaps a bit cramped and thank you to those that were so helpful in accommodating others on their pitch. The aim was to keep the cost reasonable by making the best use of space. The rally itself was enjoyed by everyone. I had so many comments from you that you enjoyed the routes, the scenery, the people, the events, the folklore dancing, and not forgetting the maps. It seemed to have scored a real hit with you and especially the stokers. I havent heard of many of you that got lost. The great thing for us was that despite being the organiser, I did manage to get out to all of the rides with my family. This was thanks to Tony and Janet who dealt with a lot of the queries on the campsite. We particularly enjoyed the challenges of Wednesdays ride. 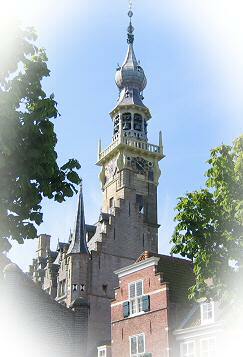 A challenge for me was that I had set out that days ride and had to get to Zierikzee to pay the Ferry man. What made it even more interesting was that at 4:50 pm the previous day I had a phone call from the county of Zeeland to say that the cycle lane on the Zeeland bridge was closed for resurfacing and they couldnt cope with 200 tandems on the relay bus that they had laid on. So Tony and I found ourselves going round the site handing out notices to alert everyone to a last minute change of route. On the Wednesday we set off in the driving rain with a triplet and a tandem cycling across the Oosterschelde Dam. It gave us a real feeling of triumph when we managed to get to the other side. Many Guide songs had been pressed into action to enable us to cope with the adverse weather conditions. We all whooped with delight when we conquered the 10km dam and reached dry land. The first coffee stop was pleased to see us. They had opened early to cope with the rush but had seen no one! When he saw the wet puddles we left I think he was rather glad no one else had stopped. On to the second coffee stop for hot soup and only to find out the bar lady had ordered 400 pieces of apple tart in anticipation but that not many of us would make it that day. The weather got steadily better and Zierikzee was rather nice although crowded with the annual market. 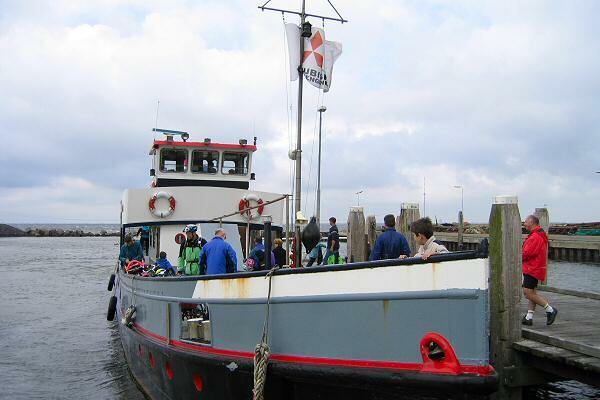 The ferry journey from Zierikzee to Colijnsplaat was a rather odd event. Thinking we were the only ones we were rather surprised to find quite a few of us turning up to have a most welcoming ferryman and his wife who looked after us rather splendidly with hot chocolate and cake served in the galley below deck with the stove on to dry us out. We were treated to a slalom ride under the big bridge to the other side. The day was finished off with a visit to a working windmill and even some sunshine, altogether a great day! Congratulations to the recumbents who completed the long ride leaving at 07:30 hrs.